Win My Favorite Devotional Book! Just go to my Joytime Ministries Facebook page and click “like”! 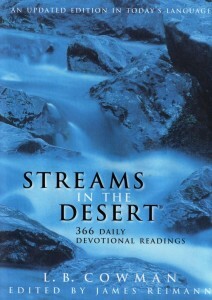 Once I get 75 likes, I will have a random drawing and the winner will get a copy of my favorite devotional book: Streams in the Desert!